And, if you want to add a salt generation system, that’s not an issue. Sutherland is totally resistant to the corrosive nature of salt generators. What good is a pool if you can’t sit at water’s edge to cool your feet or just to rest? The Sutherland offers a 5 inch top perimeter rail so you can do just that! We offer a Tan PVC or synthetic wood option, either way, there’s absolutely no maintenance needed. For total inground applications we offer an attractive aluminum bullnose coping Make your Sutherland pool the most energy efficient pool on the market. 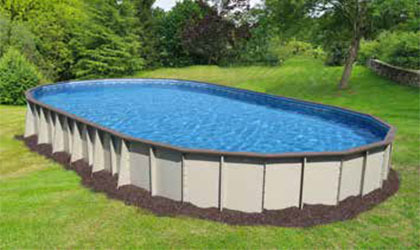 Most on-ground or semi-inground pool owners use a solar cover to help maintain water temperature. 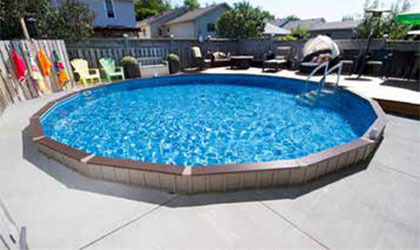 However, they often miss the importance of insulating the sides of pools, which helps prevent heat loss. Studies have shown you can reduce your monthly operating costs with the use of a sufficiently insulated pool wall. Ask your dealer which easy to use insulation spray kits they recommend. 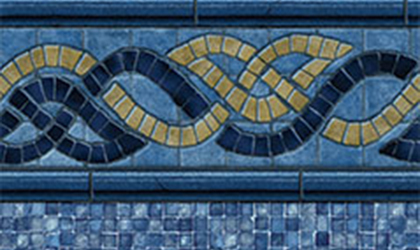 Sutherland gives you many exterior finish option, not just one. And, you can change it at any time, just because you want to! Sutherland Falls is a high volume waterfall of three steps on a mountainside in New Zealand’s Fiordland National Park. The three drops occur in such quick succession that when viewed from the air the falls appear to be one long drop. Its total drop is 1904 feet. Sutherland Falls is named after Donald Sutherland, a prospector who found the falls in 1880. 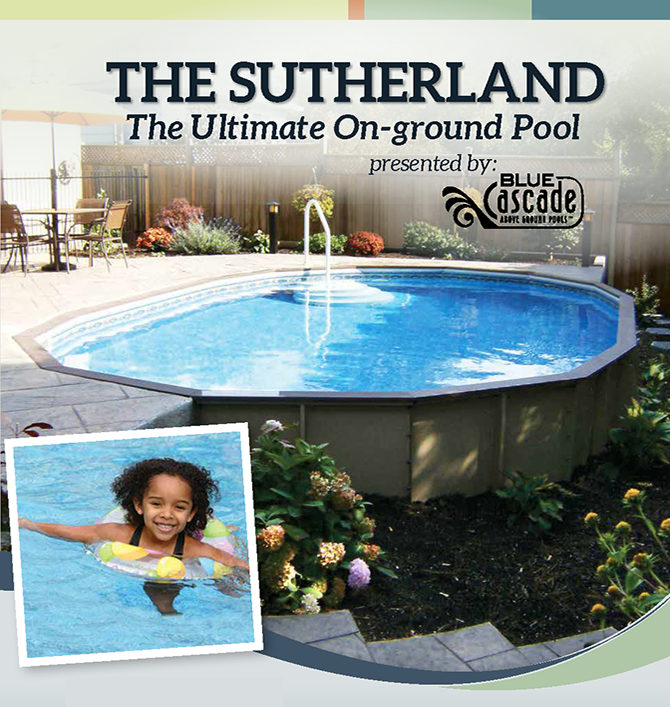 15’ x 24’ x 52"
15’ x 30’ x 52"
17’ x 32’ x 52"
14’ x 30’ x 52"
16’ x 32’ x 52"
The Sutherland is one of the most versatile swimming pools in the industry today. Primarily known for its structural strength, it can be installed on-ground, semi-inground or totally inground! It’s available in 8 standard shapes and sizes, round or oval, and is available in just about any custom shape or size you can imagine. If you’re energy conscience, The Sutherland comes with an optional insulation kit that will help increase your pools water temperature efficiency, reduce energy costs and extend your swimming season. The Sutherland on-ground pool is solid as a rock! In fact, it’s the strongest on-ground swimming pool structure. 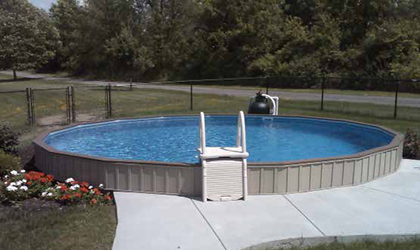 Its walls won’t buckle, puncture, or collapse like many other aboveground or semi-inground pools on the market today. The Sutherland is manufactured with 14 gauge, powder coated steel walls. The high tech epoxy powder coated system that’s used is unrivaled in the category allowing us to offer a LIFETIME WARRANTY!